Morning: Fuel up for a fun-filled weekend at Purebread Bakery. With fresh breads, croissants, pastries, muffins, and more, you’ll be delighted to taste these splendid treats. There are even vegan and flourless options if you fancy less butter or gluten. In any case, this bakery is a great first stop on your three day tour! Mid-morning: Time to hit the slopes! Take advantage of the spring’s longer days and sun-warmed slopes, and spend your day making elegant turns on some of Whistler’s famous ski runs. Make sure to hit up both Whistler and Blackcomb mountains for the full spring skiing experience. Check out our Spring Skiing Packages and take advantage of Enjoy Whistler’s spring skiing deals: Ski & Stay with as little as 93 USD/ day in April! Afternoon/Early Evening: Après skiing, make sure to hit up some of Whistler’s incredible après bars and restaurants. Dusty’s Bar and Grill, famous for it’s perfect location at the base of Creekside Gondola. Sip a Caesar and soak in the sun on Dusty’s sunlit patio to celebrate a wonderful day of skiing and snowboarding on Whistler’s world-class slopes. Evening: For a sky-high dining experience, check out Bearfoot Bistro. Renowned for its phenomenal chefs and food, the bistro also offers many other options than just fine dining. Spend an hour in their Ketel One Ice Room where you can taste high quality vodka in -32 degrees Celsius or channel your inner Star Wars and saber a champagne bottle in the bistro’s underground wine cellar. Anything you choose, Bearfoot Bistro will not disappoint. Morning: Get up bright and early and hit up one of Whistler’s sightseeing tours! Whether you want a self-guided walking tour, a gondola tour, an adventure sightseeing tour, or anything else, rain, snow, or shine, Whistler’s got it for you. Enjoy the scenery up Blackcomb Mountain on a sleigh ride with hot chocolate, take a scenic plane ride above the majestic mountains, sip and nibble your way through the town’s excellent restaurants. There are endless opportunities to be had, and so many things to see. So take your time, and enjoy the morning! Lunch: After a morning of sightseeing, you’re going to be famished. If you are for a quick but healthy lunch, Portabello Fresh Market and Bakery has got you covered! 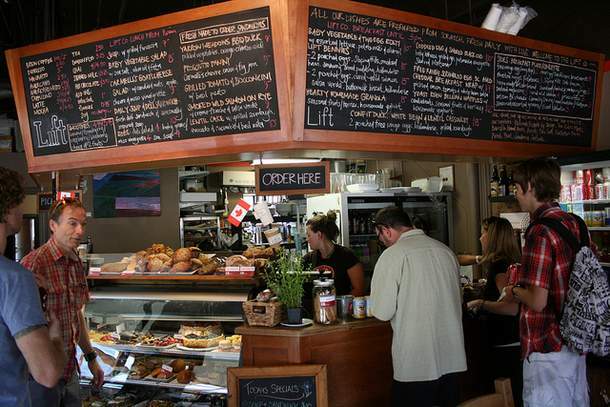 With some of the best sandwiches and coffee in Whistler, this restaurant will easily please. Afternoon: Get your adrenaline rushing with a freefall of a lifetime! Bungee jumping off of a 160ft bridge with Whistler Bungee will leave you breathless. Take in the beautiful scenery of the old growth forests and ancient basalt cliffs during this once in a lifetime adventure! If bungee isn’t your thing, get your adrenaline pumping with a zip-trek tour through the old growth forests around Whistler. With some of the highest and longest ziplines in the world (2km! ), you’ll feel like you’re flying through the forest, while also taking in incredible scenery of your surroundings. For more adrenaline-filled fun, take a look at our guide. Evening: Continue with the theme of the day and take another tour: Whistler’s Tasting Tour! With their Hidden Gems Tour, you can taste your way through six different restaurants, exposing your palette to everything from wood fired pizza, house brewed beer, rich seafood, red and white wines, and desserts galore! Night: Yet again, take a tour through some of Whistler’s nightlife! With either Whistler Pub Crawl or Bar Hop Whistler, check out several of Whistler’s bars and clubs and see what the night has to offer. Tickets for each include several drinks, access into the clubs and bars, and line priority access. This night will be unforgettable. 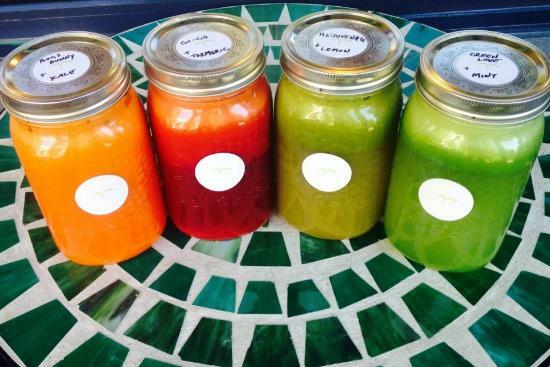 Morning: Sip off the previous evening at the Naked Sprout juice bar. With smoothies, juices, and other delights, the Naked Sprout is the perfect place to rehydrate and refuel before enjoying your last day in Whistler. Mid-morning: Explore the local Squamish and Lil’wat First Nations history at the Squamish Lil’wat Culture Centre. With featured exhibits, local artists, barbecues, and a self-guided cultural tour, this centre will help you expand your knowledge of the indigenous history of the incredible town you are in. Lunch: Now for a gastronomic delight: Bar Oso. This bar offers Spanish-inspired tapas, plates, charcuterie, and more. It is an “homage to Whistler’s wildlife”, and offers a varied selection of mixed plates for you to explore. Afternoon:It’s time to appreciate some of the best handcrafted skis and snowboards with a tour of Prior skis and snowboards. Handcrafted in Whistler, these skis and boards are unique and excellent quality. Get a factory tour on Wednesdays at 5:30 or Saturdays at 5, and experience the process of creating the boards that help you enjoy alpine snow. Evening: A stir-fry sensation, Mongolie Grill will tickle your taste buds and delight your senses. Rated best overall restaurant in Whistler by Pique Magazine, you get the chance to create your own menu and the chefs will grill it up for you! Personalized and delicious wrapped up all in one tasty grill. After all of this, we know you’ll be probably booking your trip back before you have even left 🙂 Check out Enjoy Whistler great deals and book your ski vacation with up to 4o% OFF ( if you chose to go in April). Or simply call our friendly mountain specialists and let them organize your getaway.